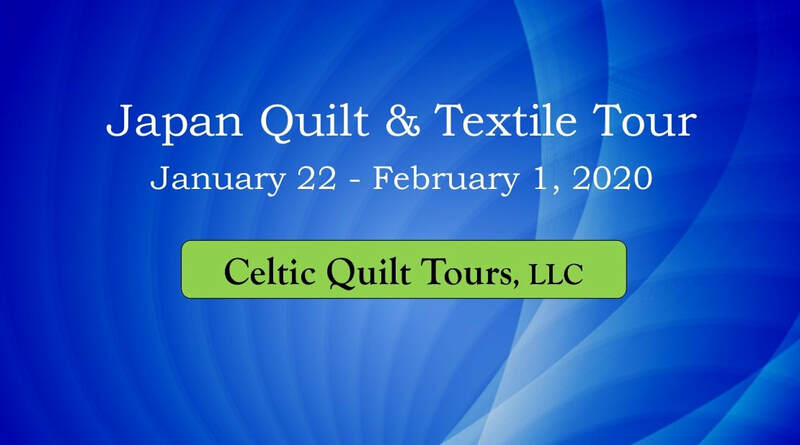 The 2020 Japan Quilt & Textile Tour is SOLD-OUT. If you would like to join our Wait List, please click here for the Information Request Form and check the 2020 Japan Wait List box. Alternatively, please feel free to call and we will be happy to take your Registration Form details over the phone. Insurance Premium must be paid for when you submit your deposit. This will ensure any pre-existing conditions you may have will be covered should you need to cancel your tour, or utilize your insurance while on tour. Land Tour Insurance through Journeys Connect is not available to travelers outside of North America. We strongly recommend that you secure Land Tour Insurance through a local company. If you do not have your passport handy, or if it needs renewing, please don’t worry, as it is not needed for the initial registration.